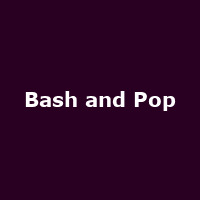 Bash & Pop are an American alternative rock band formed in 1992 by Tommy Stinson following the initial break-up of the Replacements. They released their debut album, "Friday Night Is Killing Me" in 1993, followed by 2017's: "Anything Could Happen". The band split in 1994, reforming in 2016.